A classic 21 speed hybrid bike from one of the worlds most reputable brands, the majority of our tours use this bike, which comes in a range of sizes suitable for anyone from 145cm to 195cm. An electric assisted bike with space for babies or toddlers in two kids seats. Available for a ¥2000 surcharge, this bike can carry babies up to 17kg and toddlers up to 26kg and riders up to 185cm. A simple 7-speed city bike suitable for riders up to 185cm and perfect for our short (less than 10km) food tour. Please note that while riders of over 185cm may ride this bike, they may find the frame a little small. 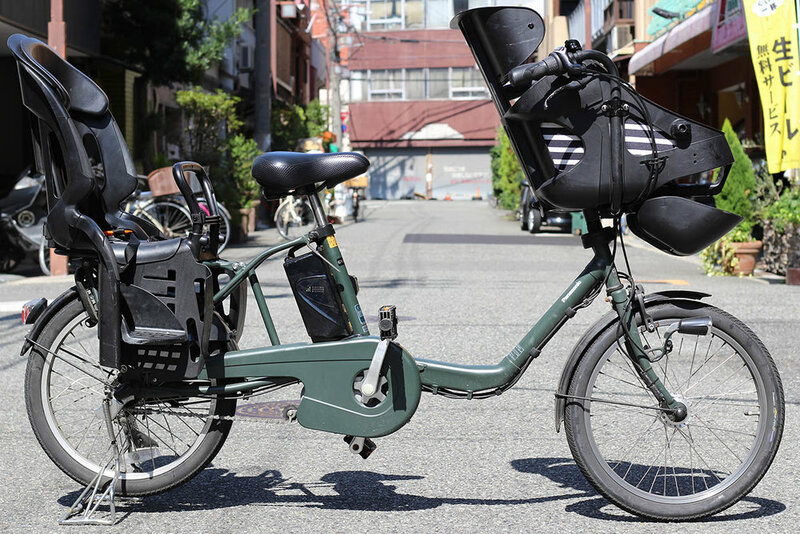 These bikes are compact, manouverable and very popular in Japanese cities! They are very adjustable (seat and handlebars) and can accommodate riders from 145cm right up to 190 cm! Kids bikes (from 130cm) available on request!